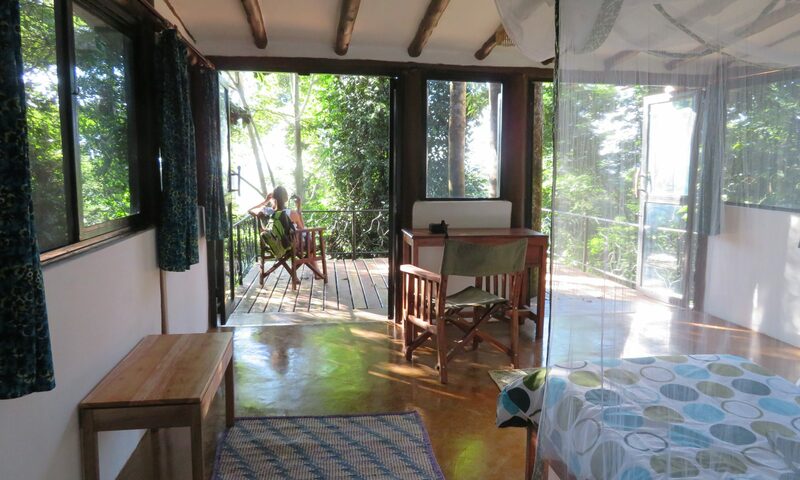 Nkima lodge has four double (or twin) ensuite rooms and two family cottages (with two separate rooms and a shared bathroom). 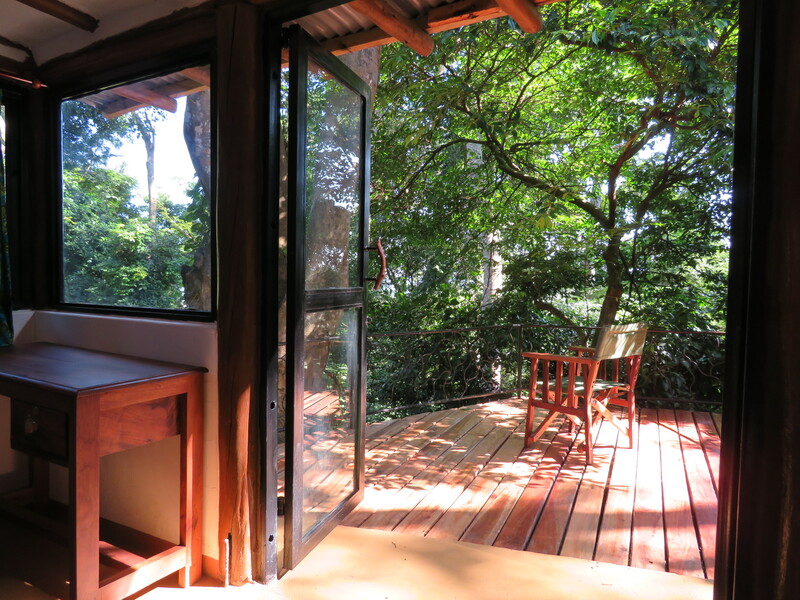 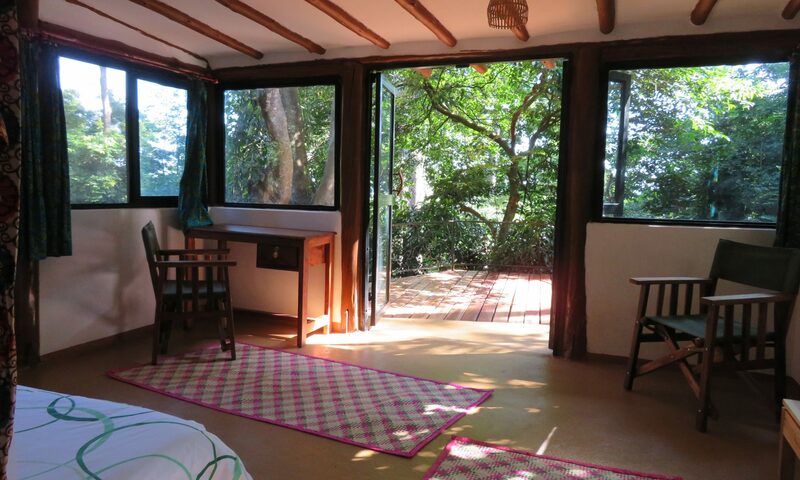 The rooms are situated separately with their own private deck in the forest and are designed to enable views into the canopy, and to maximise natural lighting. 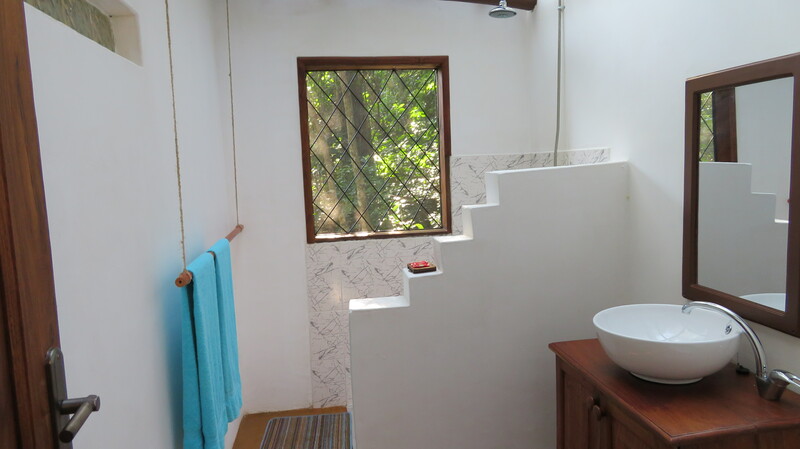 Hot water is provided by solar heaters and there are solar powered lights and charging sockets for phones/laptops, etc. 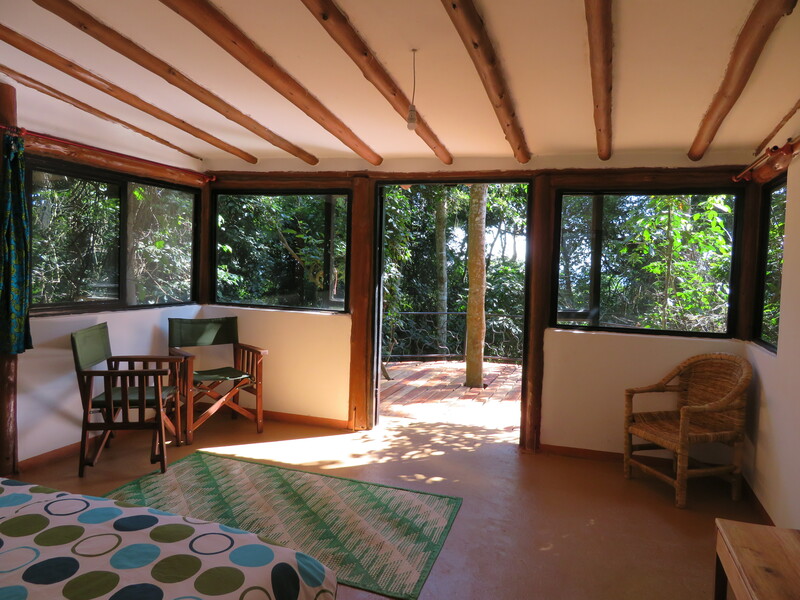 The lodge is fully off grid with a reliable solar power system and water supplied from its own bore hole, which has been tested and is good for drinking.